If you were told that the word “disgusting” formed a common refrain in the post-match musings of one player after Hearts’ win at Kilmarnock on Saturday there would be an obvious assumption. The first thought would be it must be related to the straight red card Gary Dicker was shown by referee Willie Collum. 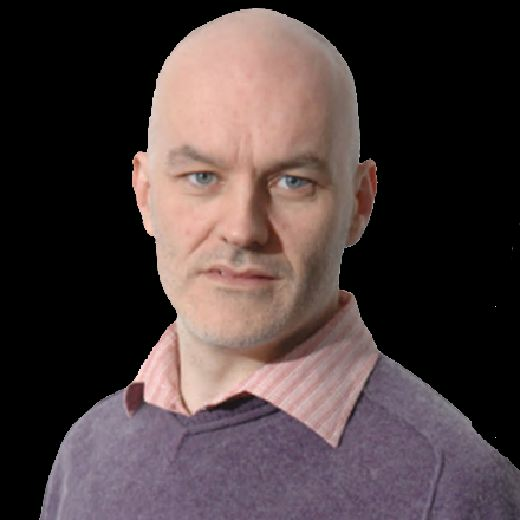 Television replays have since revealed Steve Clarke was right to be seething over the dismissal he is convinced will be successfully appealed. The challenge was fierce, but in no way reckless, and unworthy of the ultimate sanction. Kilmarnock goalkeeper Jamie MacDonald saves this effort from Uche Ikpeazu but the striker scored Hearts' winner with nine minutes left. Picture: SNS. Clarke was disgusted Collum “couldn’t wait” to get the red card out of his pocket and claimed the official “won” Craig Levein’s side a “brutal watch” that was settled by Uche Ikpeazu clinical winner 15 minutes later. However, the use of the word “disgusting” actually came from the captain of a victorious Tynecastle side, who remain top of the table courtesy of being the only team with full points from the three games played. John Souttar, taking the armband after Christophe Berra was lost to injury for the season, has no doubts why Levein’s men are setting the Premiership pace: their manager literally had them running their guts out. “When you looked at the fixtures at the start of the season and said we’d win all three, I’m not sure anyone would have believed you,” the 21-year-old said. “Pre-season was incredible. The hardest I’ve ever done. The running we did … it brought us together as a group. Being sick in your mouth around the training pitch was disgusting at the time but it’s one of these things that’s brought us together. Hearts are uncompromising, uncomplicated and unyielding. Levein said going for such traits, hallmarks of his management style, was all about “trying to put together as many of the things that work” in the Scottish top flight. It says much about his efforts that Hearts could get the job done without the now departed Kyle Lafferty and Berra. Levein believes he will “not be far away” from having enough to cope with the rigours of the campaign if he is successful in recruiting a centre-back, a left-sided midfielder and a striker in the final days of the window. On these fronts he revealed Hearts are close to sealing another loan deal for Manchester United left-back Demetri Mitchell, and has “options” in regard to Gareth McAuley, as a move for Osman Sow remains in the “melting pot” over injury concerns. Souttar’s Scotland future wouldn’t seem to be in the melting pot, meanwhile – despite the Levein’s mischievous suggestion that the country could lose the defender to Australia if they didn’t hurry up and give him a full cap because of his granny’s Antipodean nationality, a barb he made on the back of the player being selected for the under-21s last week, which was assumed to count him out of the full squad that will be announced today. 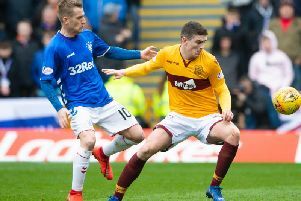 It might not, but Souttar, who acknowledges he has finally gained the physicality to cope with his role, sort of played along with his manager at the weekend while gently correcting him.